Students spend hours in the classroom, so they deserve to learn in durable and attractive school chairs. Academia Poly Shell Chairs get top marks for value, durability and looks. Built with your student's needs (and occasional exuberance) in mind, we present you with a chair that is incredibly stable and strong. The high-density poly seat is visually appealing and strong. 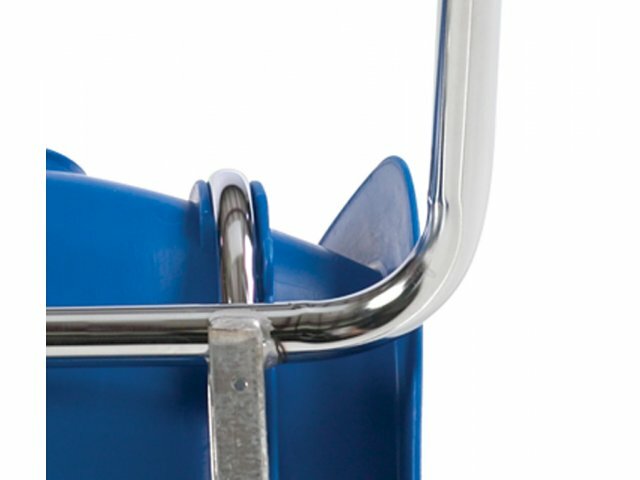 The 18-gauge steel frame, full contact welds and under-seat 14-gauge steel brackets give these school chairs the capacity to support up to 300 pounds.We offer clever details such as no exposed rivets that can weaken with time or snag clothing, tubular supports that go right up the back of the chair, and a much thicker shell than other popular student chairs on the market. 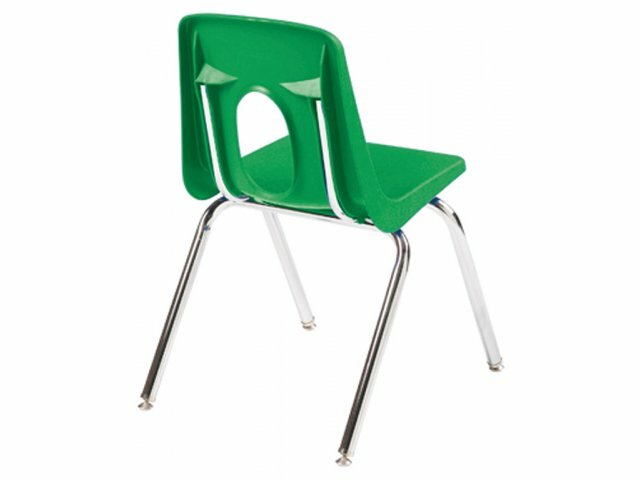 With a broad selection of colors and sizes, you can choose the optimal school chair for any classroom, whether your students are studying Biology, Geography, or Math. Strong: 18-gauge steel frame, full contact welds, and 14-gauge under-seat steel brackets provide support for up to 300 pounds. 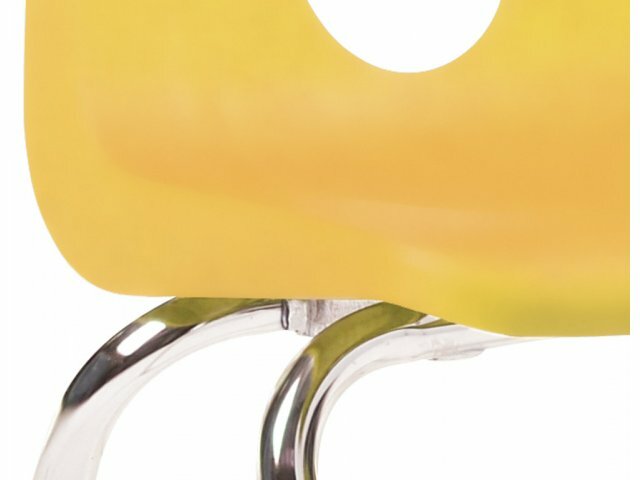 Durable: High-density Polypropylene seat withstands years of classroom use. 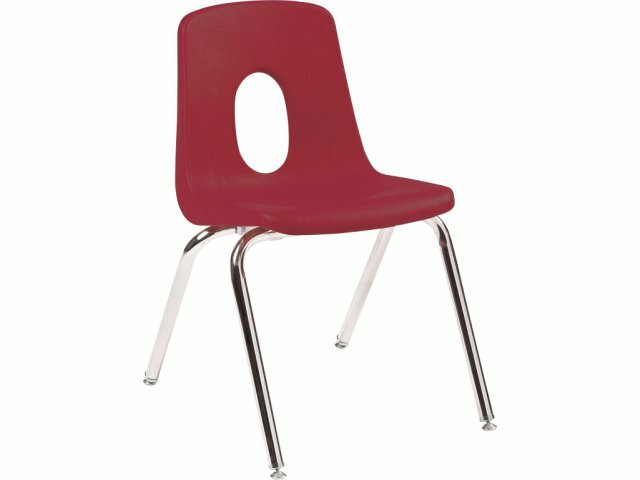 Attractive: With waterfall front and vented back, the sleek design of these chairs will make your classroom look great. 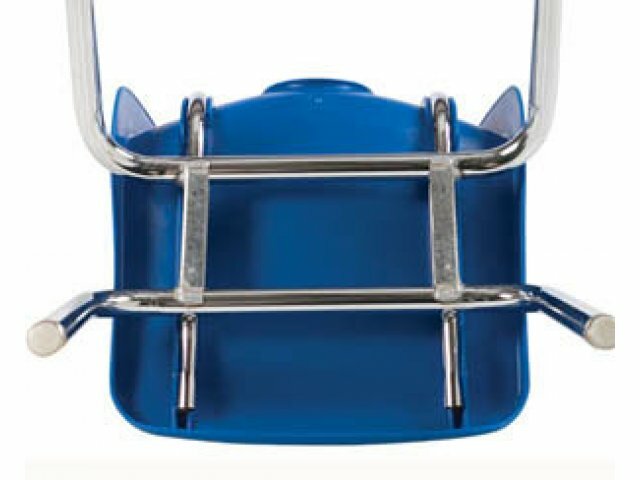 Versatile: Available in a wide variety of sizes and colors, these school chairs are great for any age or subject. 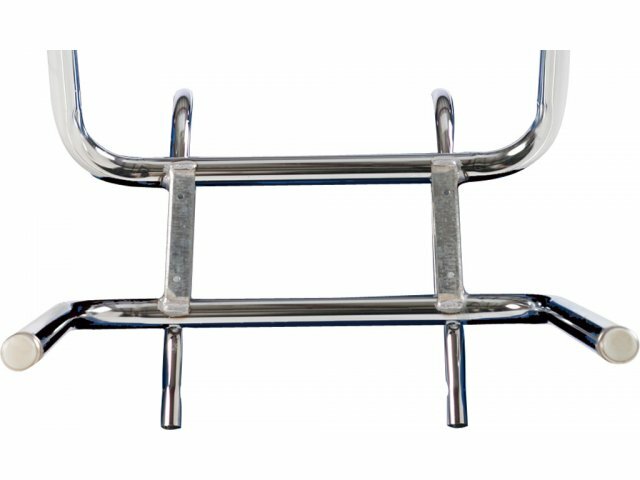 Damage Preventing: Self-adjusting nickel-plated chair glides keep chairs stable and prevent them from scratching floors.